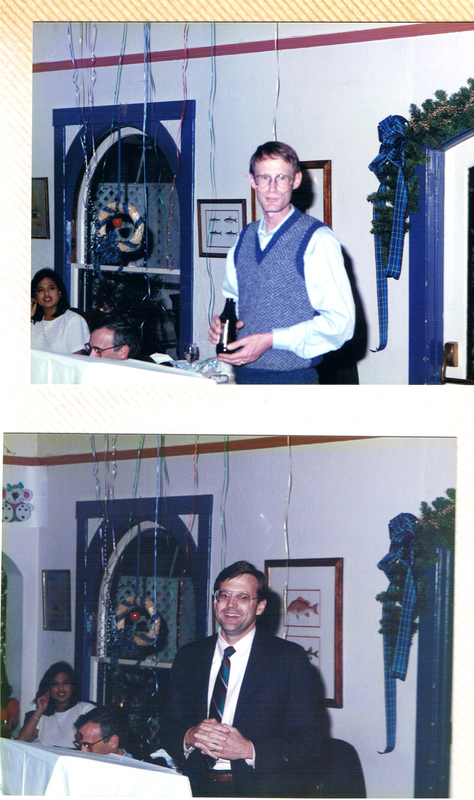 Two photographs from a Ross Systems gathering. Pictured are John Benedict and Roger Perry. Donated by Ken Ross. 1 scanned page.